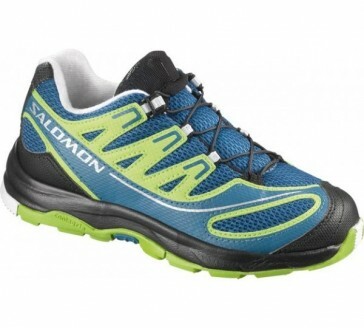 This model is a running and walking shoe for kids, with which they can go all out in any terrain. The Non Marking Contagrip outsole consists of a combination of special types of rubber and thus ensures optimum adhesion to different surfaces. The lacing system is self-releasing in the event that the laces to hook or tie under water.